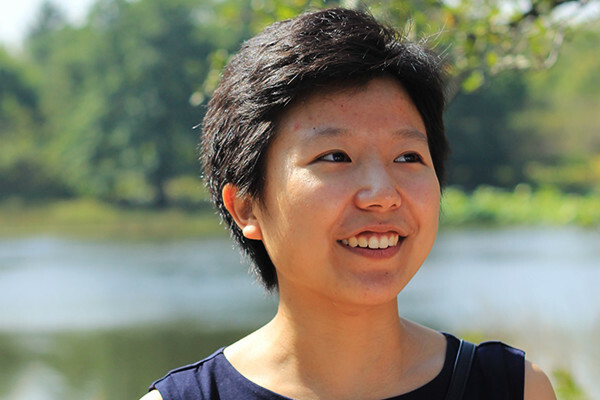 Tiffany Wong has been offered a Fulbright Fellowship to teach in Macau. School of Education and Social Policy (SESP) seniors Tiffany Wong, Fannie Koltun, and alumna Tsu-Ann (Suzanne) Chen (BS17) have been offered Fulbright U.S. Student Program Fellowships to teach English in Macau, Spain, and South Korea, respectively. Through teaching, the globe-trotting scholars will immerse themselves in a new culture, reconnect with parts of their heritage, and gain insights into the needs of their future students. Wong, a second-generation Chinese-American, plans to enhance her language and cross-cultural teaching skills in the Chinese region of Macau. Afterward, she may pursue an advanced degree in higher education and administration with an eye on becoming a director of multicultural affairs. Koltun is passionate about multilingual elementary education and plans to teach bilingual elementary school with Teach for America for two years upon her return. She also wants to pursue a master’s in education focused on urban elementary school. Chen applied for a Fulbright to better understand the people and culture of South Korea; she hopes to teach and work with South Korean youth in her hometown. “The experience will give me invaluable practice in negotiating cultural differences between me and the students in my classroom,” she said. The prestigious Fulbright U.S. Student Program provides grants to teach, conduct research, study or participate in specialized internships. 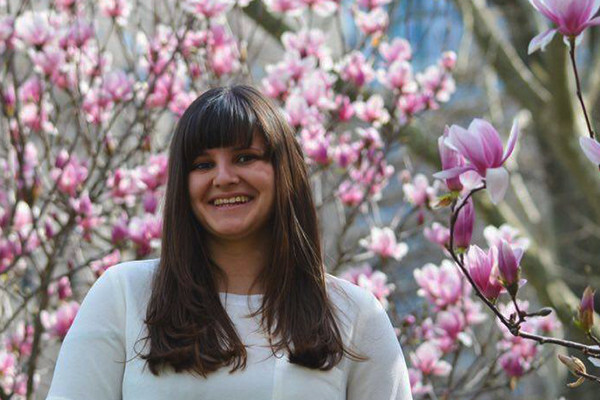 At least one SESP student has received a Fulbright every year since 2000. Northwestern University consistently ranks among the top Fulbright-producing research institutions in the country, a feat which “underscores our ability to foster Wildcats' global citizenship as students and throughout their lives,” said Elizabeth Lewis Pardoe, director of the Office of Fellowships, which administers the Fulbright competition. The Northwestern campus application deadline for Fulbright awards is early September for awards beginning the following year. Graduating seniors, alumni, and graduate students with U.S. passports are encouraged to apply through Northwestern 's Office of Fellowships. English Teaching Assistantship applicants should contact Amy Kehoe. Study/research applicants can contact Stephen Hill. 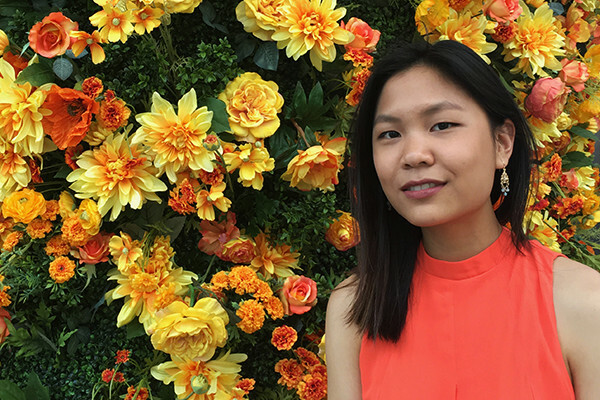 Wong, a learning and organizational change major, worked on writing skills with peers – often English language learners -- at Northwestern University’s Writing Place. She interned at the Chicago chapter of 826 National, a non-profit co-founded by Dave Eggers that works to engage students ages 6-18 in creative writing. In addition to mentoring a sixth grader in Chicago Public Schools, Wong mentored three low-income and/or first-generation Northwestern first-years through the Compass program. Koltun, inspired by her kindergarten teacher, hopes to spend her life in the classroom and help students lay the foundation for educational success. Her previous experiences volunteering in Argentina and Ecuador “demonstrated how difficult it can be to exist in two languages, while simultaneously highlighting the opportunities bilingualism can bring,” she said. Koltun was a founding member of Allow Good Northwestern, a student-run education program that won a grant of $10,000 to continue its work on youth philanthropy. She also was a Jumpstart Corps member, where she helped implement a supplemental literacy program at a local preschool that served children from low-income families with learning and behavioral challenges. Chen was in fifth grade when her family moved from Taiwan to southern California. Her own experience of adjusting to a new country and culture, and her love of books – inspired by her mother’s regular excursions to the public library -- were the driving forces behind her desire to teach. “It’s so easy to feel like a new language or less familiar subject material wasn’t meant for you, especially if you’re coming from another culture,” she said. In the summer of 2016, she helped design and teach a creative writing curriculum to 20 high school students; most were from low-income Chinese and Latino families and several had lived in the U.S. for only a few years. She delivered lessons on how to write fiction and poetry, created prompts that inspired the students to author their own stories and poems, and participated with students in writer’s workshops. Chen, who leaves for her Fulbright studies on July 6, is still working with Shirin Vossoughi, assistant professor of learning sciences, on research involving after school tinkering settings. “South Korea is known for its academic rigor and excellence, so I am eager to learn from its schools how to properly challenge students while working to find novel and creative ways to incite students’ interest in learning English,” she said.